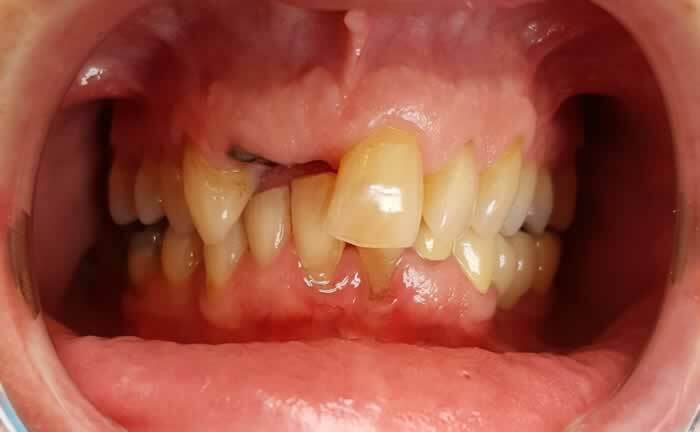 This patient had multiple missing teeth in the anterior and posterior region. 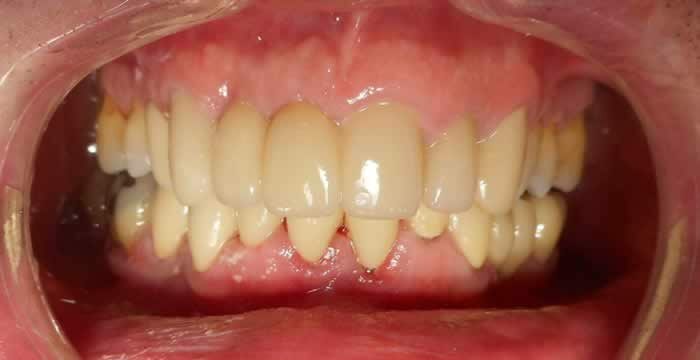 He was wearing dentures for years, which caused him great discomfort and difficulty chewing. 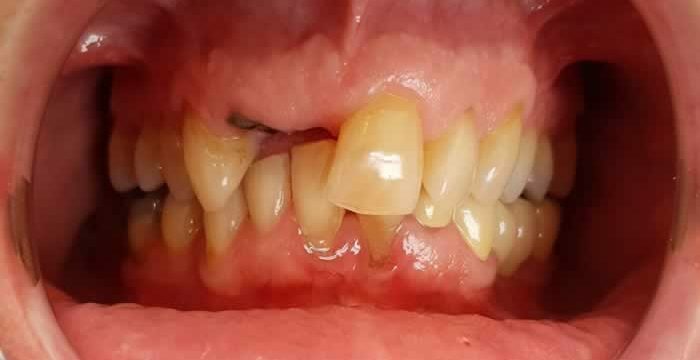 He decided to get a permanent solution to replace his missing teeth. 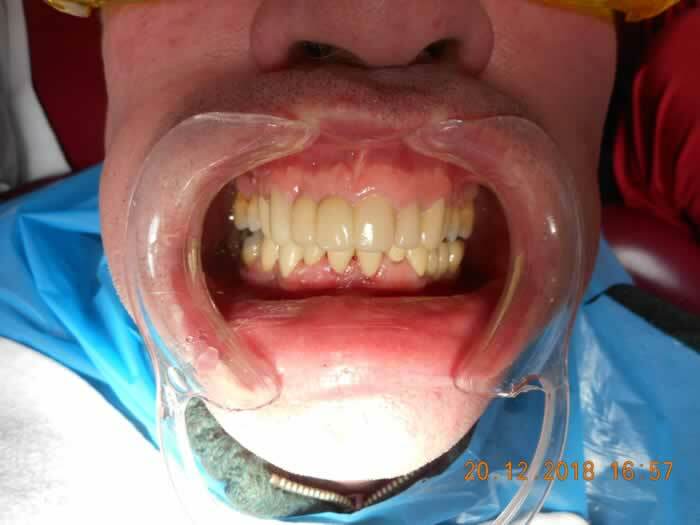 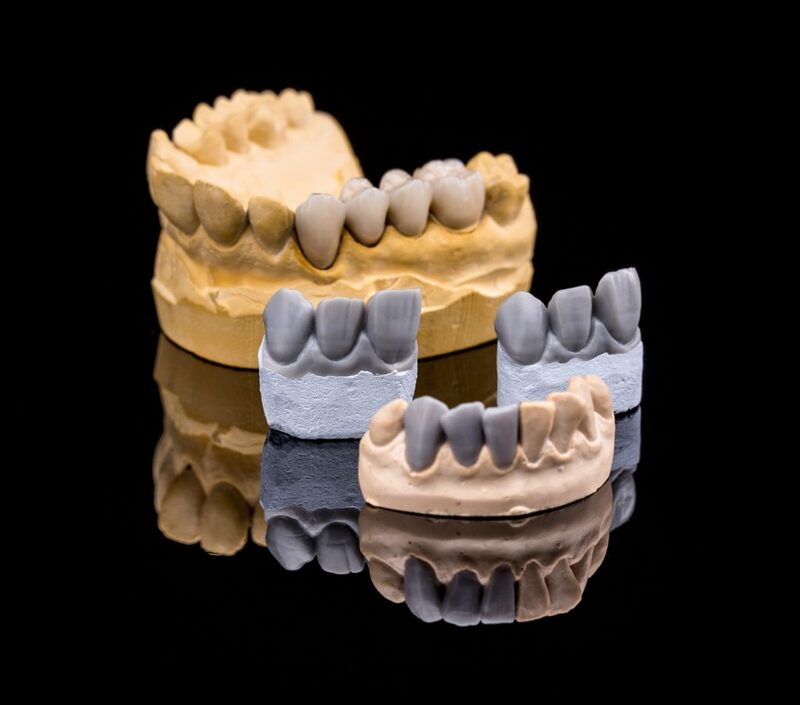 We placed zirconium bridges and crowns on his teeth to replace the missing teeth, give back the function and improve the appearance of his teeth. 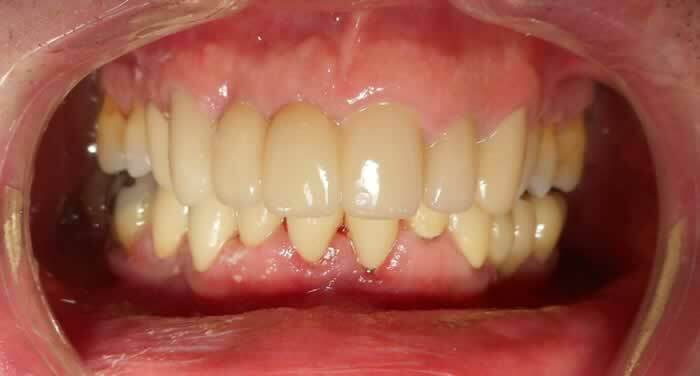 The treatment was done in stages, took 4 months to complete. 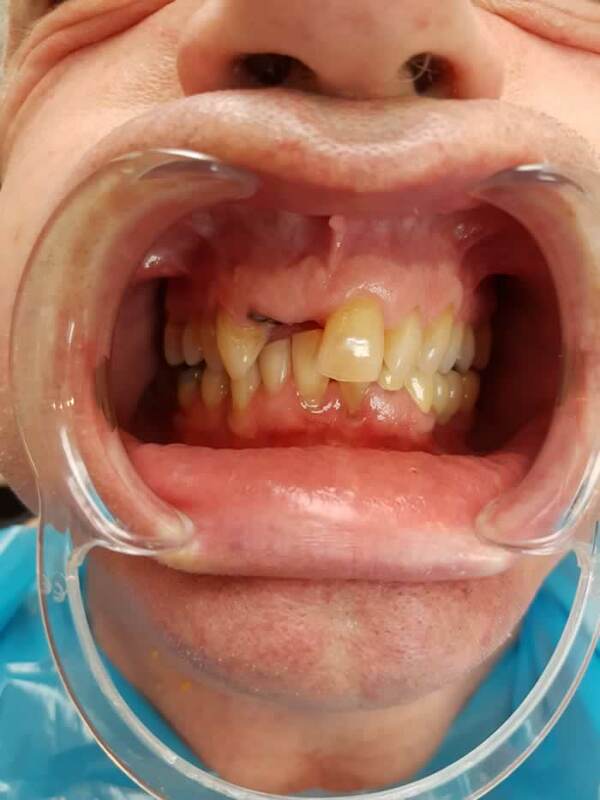 The patient couldn’t be happier with the result.